When it comes to caffeine, hardly any beverage will compete with the powerful jolt of coffee. However, no other beverage also comes with a major crash (2 p.m. slump that leaves you reaching for more, anyone?). Coffee can also lead to anxiety and jitters. Research shows that regular coffee drinkers don’t actually gain any benefit from drinking coffee because their body simply gets used to its stimulating effects. University of Bristol’s Peter Rogers concludes “we don’t gain an advantage from consuming caffeine—although we feel alerted by it, this is caffeine just bringing us back to normal.” Moreover, coffee acidifies the body, research shows, putting you at risk for diabetes, kidney disease and other health issues. Whatever you’re drinking this morning, you can boost its health potential immensely with an added shot of wheatgrass extract. Not only is wheatgrass rich in an array of vital nutrients (calcium, iron, beta carotene, vitamins A, B, C, E, and K… the list goes on! ), having just a shot is equivalent to eating two pounds of vegetables! Simple nutrition aside, wheatgrass can reduce inflammation, oxygenate your blood, improve your skin, and fight infection—all this on top of giving you that morning energy boost you’re craving. We all know what a powerhouse of antioxidants blueberries are. So what’s better than blueberries? WILD blueberries are shown to have even more antioxidants than their domesticated relatives. They also have improved anti-inflammatory capabilities, cancer-fighting action, and brain-boosting power, according to a 2016 study. So toss a shot into your morning smoothie or fruit juice, sprinkle on your oatmeal or toast, and the possibilities are as endless as they are tasty! Scientific evidence in support of the wide and varied health benefits of medicinal mushrooms is mounting every year. For example, reishi mushrooms are high in flavonoids, full of cancer-crushing potential, and have even been used as a topical treatment in lesions, with great success. Cordyceps (turkey tail) mushrooms are also great allies against cancer, and a 2013 study on the pharmacological potential of cordyceps sings its praises and confirms 21 clinically approved benefits on human health. Tea, of course! Tea is hands-down the most widely enjoyed hot beverage in the world, far out-ranking coffee. When it comes to health, your mind might immediately consider green tea, which is widely celebrated for its antioxidants. Yet when it comes to science-backed research, the findings are lukewarm at best. An interesting bit of research on the use of nettle tea in Palestinian medicine has demonstrated the plant’s significant anti-cancer properties. Another great health-boosting tea is red clover tea. A 2001 studydemonstrated that the isoflavonoid compounds from red clover protect from inflammation and immune suppression induced by UV radiation. Do you suffer from anxiety, insomnia, or indigestion? Lemon balm tea will help you with all of those! 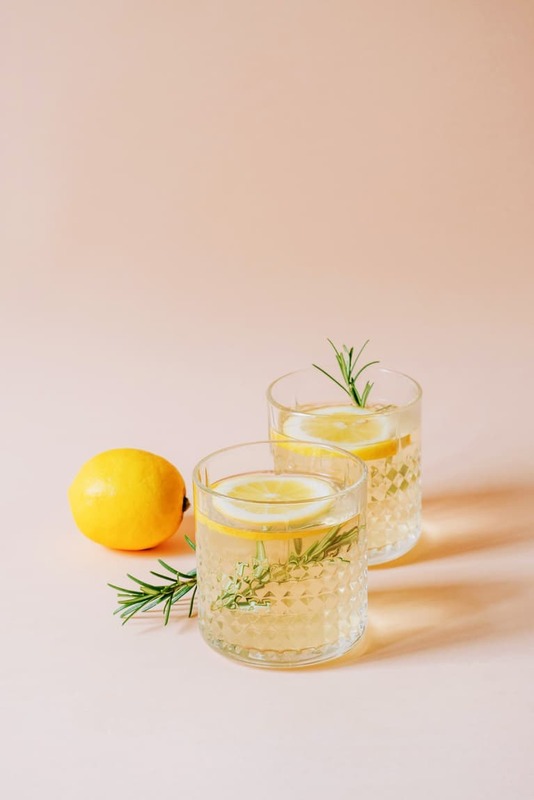 It acts as a mild sedative, and according to a 2014 study lemon balm “helps reduce anxiety and promotes sleep” in addition to its ability to treat indigestion. If you’ve ever been walking along the beach and noticed bushes with bright red balls, they might just be rose hips of the rosa rugosa plant—the same tasty fruit that is made into the health-boosting tea. But if you’re not a shore-dweller or you don’t feel like harvesting and processing your own tea, there are some great options available on the market. Rich in citrusy vitamins like A, E, and C, rose hips are also loaded with, you guessed it, antioxidants, as well as a host of other health-boosters such as flavonoids, amino acids, minerals, and more, according to one 2013 study. Lastly, if you combine any tea with rose hip it will empower the tea you mix it with; rosehip tea will even supercharge any vitamins you are taking due to its high antioxidant content. Coupled with a sweet, spicy, pepper-minty taste, rose hip tea is one more way to stay “hip” to your health.